With my recent birthday and becoming a year older (well only really a day older, but for anyone above a toddler we record our age in years), it has got me thinking about the topic of living a healthy lifestyle. A few good friends have also just had birthdays and look fabulous for their age – my 50 and 69 year old friends both looking at least 10 years younger than they are. I have been wondering what the secret is. Is it a healthy lifestyle, good genes, or a combination? Truth be told, I have been thinking about healthy living for a while, but with these recent birthdays it comes to the forefront of my mind. I don’t mind having a birthday. In fact, I love birthdays – they are a day to feel special. I am thoroughly enjoying my late twenties and early thirties. These years have been the best era of my life and it is no coincidence that it is the same period of time since meeting my husband Jeff. Also not by chance, I have also been in the best shape of my life. Jeff has introduced me to a plethora of new sports and is keen to work-out almost daily. I feel fortunate to live in a place where a healthy lifestyle is the norm. (Not the whole country mind you. Quite the opposite – although I hope it becomes healthier. But the city I live in, Park City). We are lucky to have miles of trails and weather that makes it conducive to being outdoors. It is common to see everyone in the community out on bike rides or hikes. I love to witness families partaking in exercise, and organized events and races. Many of my athletic friends kept in shape throughout their entire pregnancies too, with their usual routines of running or cross-fit right up to giving birth. (One good friend even did push-ups in the parking lot of the hospital just before she gave birth – because she felt good and she could!) People’s love of fitness and the outdoors here is inspiring and contagious. But a healthy lifestyle is more than just working-out, it is what we consume too. It has often been said “You are what you eat”. This encourages us to think about what we are putting in our bodies – it is so important to our health, well-being, and energy. It is widely held that a diet high in fruits, vegetables, and whole grains, and low in refined, processed foods is best. There are also trends with paleo (caveman) and gluten-free being current popular diets. 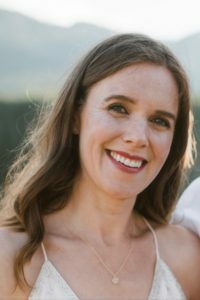 I have noticed restaurants and food companies jumping on the band-wagon to cater to these requests, especially with more gluten-free options becoming available. This is great for those with celiac disease or other gluten-intolerances (my husband being one of them). But these diets are not for everyone. I think it wise to do your own research and decide what is best for you. One thing that seems apparent, is that more of us than we think have food allergies that we are not attending too. With an estimated 60% of our immune system in our gut it makes sense to eat what best suits our individual bodies, creating a better overall health and well-being. In addition to managing our immune system, our gut, part of our digestive system, is also said to control our moods, energy, focus, and sleep – further impetus to eat well (read this article for more info: http://www.pickthebrain.com/blog/your-gut-5-things-you-didnt-know/ ). And don’t forget the recommended 2.2 liters of fluid for women and 3 liters for men per day too. I try to eat and drink healthily and provide my body with what it needs. Even more so now we have purchased a Vitamix blender. I got sucked into the demonstration at Costco – the smoothies and soups they made for us to sample were delicious, and my husband had been wanting one for a while. (I have heard great things about the other main blender brand Blendtec too. People seem to love them both). 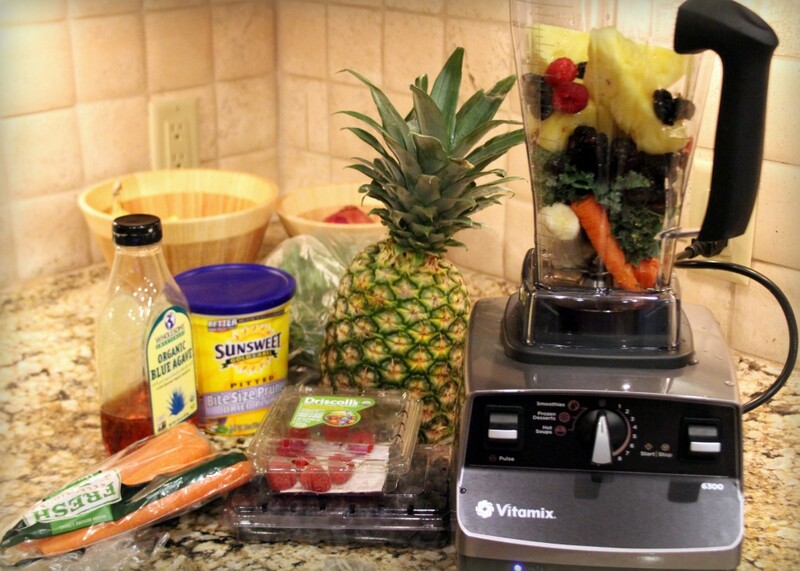 Blenders are an easy way to consume the valuable fruits, vegetables, and fluids your body needs. We throw anything and everything into ours – fruits and veggies (fresh or frozen and many with their skins and seeds containing beneficial nutrients), yogurt, cottage cheese, probiotic powders, fish oil, and nuts – sometimes all in one drink! We use our blender almost daily and the smoothies have all turned out great so far. There are tons of great recipes online to take advantage of. A balanced diet – part of healthy living. With all this exercise and healthy eating, I feel in pretty good shape on the outside. But, how about the inside? How about our psyches – the human soul, spirit, and mind? While many of us work on our outsides, our inside often gets neglected. I previously wrote that beauty is both on the outside and inside. I believe that healthy is an external and internal phenomenon as well. Healthy living is for our spirits as well as our bodies. To nourish who we are on the inside I believe that doing things for others and being open to them helps us. There are other aspects of our insides and minds to work on too, and I am getting better at this. For example, I am trying to think positively and worry less (in previous posts I have professed tendencies towards worry and skepticism). My writing and reflections have helped, along with great sermons at church on acceptance, forgiveness, love, etc. (I attend Mountain Life in Park City: http://mountainlife.org/media/sunday-messages/). With these thoughts and quotes in mind here is to a year ahead of healthy living, in all senses of the word. I hope yours is too. This entry was posted in Musings and tagged aging, balanced diet, birthday, Blendtec, Boot Camp, but just how they’re meant to be.”, cardio, church, consume, cross-fit, diet, energy, exercise, faith, gluten, gut, have faith that things will work out may be not how you planned, health, healthy, healthy living, immune system, meditation, mind, Mountain Life Church, paleo, peace, psyches, religion, soul, spirit, Vitamix, well-being, wondering and doubting, worry, yoga, You are what you eat, “Peace does not mean to be in a place where there is no noise, “Sometimes you just have to stop worrying, “Worrying is like praying for what you don’t want.” – Unknown, “You can worry or you can trust God. You can’t do both” on April 25, 2013 by lydiakluge. My heart goes out to all those affected by the events in Boston yesterday. News reports state that about 2:50 p.m. (EST), while thousands of runners and spectators at the Boston Marathon were on the streets, two bombs exploded 100 yards and 10 seconds apart near the course’s end in the city’s crowded Back Bay section. It is indicated that approximately one hundred and forty were injured, over a dozen critically, with three people dead. What a heartbreaking and tragic thing to happen. I heard of the tragedy in a telephone call from my husband about an hour after the explosions. Like many others, my first response was to ensure any loved ones in the area were safe, and then check the news to find out more. Throughout the remainder of the day images continued to flood in – of injured people lying on a bloodstained sidewalk; of bystanders helping, tending to wounds, comforting others, pushing them in wheel chairs and gurneys; of people running away tearful and panicked; an abandoned camp chair with the pattern of the American flag (representing the very notion of liberty and freedom) lying on the ground splatted with blood. The images evoked intense emotions – shock, sorrow, fear, anger, hatred. The question resounding in so many people’s heads is why? Why did this happen? For what? Is it the result of having evil people in the world? Or did something provoke the attackers? Is it perhaps America’s characteristics, such as their wealth and power, liberty and freedom, and willingness to stand up to others to fight for what is right, which incites people? Perhaps this is true. Perhaps this is why these villainous people attack this soil. It could play a part in it. But there are other countries that are wealthy (think China, Japan, Germany, and France for those with high nominal GDP); have strong military power (Russia, China, India, and the UK follow after USA according to http://www.globalfirepower.com/); countries who stand up and fight out against injustice and terror (troops from dozens of countries, all of NATO, went to war in Iraq and Afghanistan); and many developed countries experience similar levels of rights and freedoms to America (Canada, Australia, and those in Europe to name a few). Are these countries attacked too? Sadly yes, many other countries have experienced terrorist attacks. Is it for the same reasons? Who knows? And with America being a key global player, are they attacked more than other countries? According to the Global Terrorism Index based on data from the University of Maryland (http://www.visionofhumanity.org/globalterrorismindex) countries such as American, Canada, Australia, and those in Europe, are actually attacked less than other parts of the world. Iraq, Pakistan, Afghanistan, India and Yemen have been the most affected by terrorism in the past ten years. (I think we sometimes relate less to tragedies in countries we feel less akin to, perhaps disassociate from it. But there are still innocent lives being lost – regular people like you or I, going about their daily lives. Wherever it happens, it is tragic). The data might help to reassure people in certain areas of the real risks though, and from their feelings of vulnerability and panic. 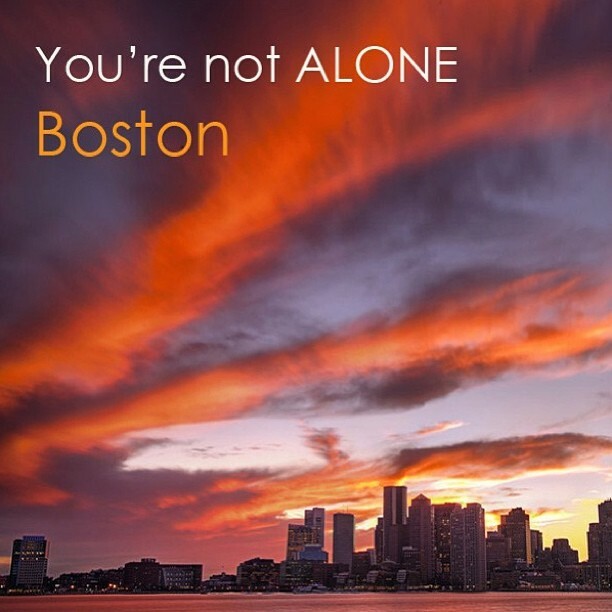 It is hard however not to feel vulnerable after an attack such as Boston. Authorities yesterday urged people to stay inside and avoid large crowds, fearing more explosions or other events. Cities across the country are on heightened security. Indeed cities and events across the world, such as at the London Marathon, which is scheduled to take place this Sunday, and the Sydney marathon in September are on alert. Many people believe this is what these wicked, cowardly terrorists want – to incite fear. We have to stand strong. We do not want them to win. I know on a first hand basis these feelings of fear and vulnerability. I lived and worked in London during the bombings on trains and buses there nearly eight years ago. Four explosions ripped across central London on Thursday 7 July 2005. Fifty-six people were killed in the blasts and seven hundred were injured. It was terrifying and tragic. In the days following the explosions I chose not to take the bus or train to work (my usual modes of transport) but walk the four miles each-way instead. People on public transport were nervous and especially vigilant of bags and back-packs. But after several days I returned to my usual routine. I chose not to let the terrorists affect my life. Seeing the humanity and love in people is what can reassure us and power us on. I also believe if we stop comparing ourselves to other people and countries, or evoking feelings of superiority (see my post on humility), and aim to show more understanding and acceptance of different ways to live, be, and do things, then this will help put an end to these acts too. With prayers of peace to you all. As of the current moment, 11 pm MST on April 16th, the authorities have not taken anyone into custody in relation to the attack. They questioned a 20 year old man, but he appears to no longer be a suspect. We are told that there are currently no claims of responsibility. The FBI say the range of suspects and motives remains wide open. Until we know for sure, I believe that pointing fingers and jumping to conclusions is futile and detrimental. I trust that a full investigation will be done and hope those responsible are found and brought to justice. This entry was posted in Musings and tagged "Look for the helpers. You will always find people who are helping.”, Afghanistan, attack, blast, bomb, Boston, Dr. Ablow, explosion, fear, flag, Fox News, Fred Rogers, freedom, GDP, Global Fire Power, Global Terrorism Database, Global Terrorism Index, Iraq, London, marathon, my mother would say to me, panic, power, terror, terrorism, terrorist, Thursday 7 July 2005, tragedy, villain, vulnerable, war, wealth, You're not alone Boston, “When I was a boy and I would see scary things in the news on April 16, 2013 by lydiakluge. The beautiful Hawaiian island of O’ahu was the destination of a recent trip of mine. Amongst the memories created there, one day in particular stood out and I want to share it with you. The morning began in anticipation, with my husband and I planning to tour the island in our rental car. The previous day a storm warning had come in with talk of huge waves off the North Shore of O’ahu, so we knew there would be some great surfing to watch. We also knew that the freeways on the island hugged much of the coastline and the drive would be scenic. We grabbed our guide book, swimwear, sunscreen, car keys, and were off. Our first stop was on the south shore of the island, and home of surfing, Waikīkī Beach. It was here that Hawaiian royalty were said to go for their retreats in the 1800s and enjoy catching waves on early forms of longboards. We didn’t want the pros (or royalty) to have all the fun, so we figured we would catch some of the gentler waves here, before heading up to watch the big boy stuff. Waikīkī Beach was on my husband’s bucket list. He is a huge fan of surfing. And also surf movies, such as Endless Summer, Riding Giants, Point Break, Soul Surfer, and Chasing Mavericks – all great films. We arrived at Waikīkī and found several options for renting boards, we chose Hawaiian Oceans. The waves at Waikīkī are perfect for beginner and intermediate surfers – just a few feet tall and rolling in consistently over a smooth sandy seabed. I was happy to ride about a dozen waves this trip. Things clicked for me. I look more relaxed now on a board and have got the hang of standing sideways, and bending my knees and arms (I used to stand up straight and face forward like a soldier). I am even starting to turn my board along the wave (mainly out of necessity to avoid other surfers and outrigger canoes, but I’m getting it). Jeff has got all this down, and then some. He looks good out there – relaxed, happy, and free (quite different from picturing him in a suit behind a desk). It is a thrill to catch a wave – to paddle out into the surf and then sit astride your board, floating, feeling the ocean around you, rhythmic and peaceful, listening to it, breathing with it; you watch the waves on the horizon, drawing closer, looking at their size, shape, and spacing, and decide this is the one to go for; you swing your board into position pointing to the shore, and get ready, lying flat on your tummy, feet near the back of the board and hands forward and cupped, ready to pull the water; you watch the wave, its curl building and peak rising, and feel the rush of the water coming behind you; as it gets close, you begin to paddle strong and hard, to get in sync and move with it, you feel the edges begin to break next to you and turn white and foamy; you are careful not to let the nose dive, you straighten your forearms and raise your neck, like a cobra pose in yoga, then jump up, and you are on it, part of it, riding its power into the shore – you cannot help but smile at this joyous moment. After our own wonderful, but exhausting, surf experience, we were ready to head to the North Shore. We rinsed off in a fresh water shower by the edge of the ocean, grabbed a well-deserved frozen yogurt from across the street (which tasted especially good after expending all of our energy), and jumped in the car. The drive up the coastline lived up to our expectations – one of the prettiest views from a freeway I have seen. Near the northern most point, in the town of Kahuku, we stopped to re-fuel at the popular roadside truck Giovanni’s Shrimp, and also had some delicious Uncle Woody’s BBQ corn. Tummies full, our next stop was around the peninsula and down to the famous Banzai Pipeline, at Ehukai Beach Park. We left the car and headed towards the beach. Throngs of spectators gathered along the back section of the sand. Orange flags running parallel to the shoreline along the center of the beach, designated it closed (to all but the experts). It heightened everyone’s anticipation – these waves were serious. We walked 100 ft, came to a clearing right in front of the Team Volcom Pro Surfer’s house (this must be a good spot), laid down our towels, and sat. The sound of the waves was thunderous. There was a constant loud hum in the background, as the large waves crashed and broke; it sounded like a plane’s engine. This was layered with a gentler hushing, as they reached the shore and swept and pulled against the sand. The waves were mesmerizing to watch as they came in in sets. Their base was dark and menacing, but towards their tip they lightened into shades of turquoise, and at their thinnest point the light from behind shone through giving them a luminous glow. The wind caught the tops of the waves, creating white mist whipping off the back. As they broke the foam would gallop forward like white stallions, some getting ahead of the others, jockeying for position, continuing along the length of the wave to create a sweeping barrel. The waves were like a giant wall, 25 ft or more, towering over the two dozen surfers and bodyboarders, who looked like ants floating out there in their wetsuits. The crowd at Banzai watched in excitement, waiting for a brave surfer to make their move. When they caught a wave a cheer would emit from the crowd, none louder than from the Volcom house behind us, who were stoked for their friends and team mates. We gazed, awe-struck, as the rider charged along the barrel or tube, known also in surfing as the “green room”. They ran their hands along the back wall, but kept up their speed, trying to outrun their opponent before it came crashing down with a triumphant roar, sending plumes of foam in every direction. Those gathered were a blend of cultures. A tall, pale, scrawny Caucasian guy with long dark dread-locked hair, stood chatting to a beefy, tanned Hawaiian. There were young and old, locals and visitors, and almost everyone, including me, had a camera poised to catch the perfect shot. But when the pros came in from riding their giant waves and headed to their beach houses, despite the fact I had so recently been snapping their pictures, I didn’t want to invade their privacy, so looked away nonchalantly, and said nothing. I quickly reflected that if I had come in from an incredible feat I would want someone to acknowledge it. The younger spectators were the most confident and friendly to the surfers. They would brazen up and ask them questions or wish them luck. One surfer responding “Thanks man, I’ll take all the luck I can get”. I realized I wanted to take a leaf out of the kids’ books and not be so embarrassed. I endeavored to congratulate the next surfer. That next surfer turned out to be Volcom pro Gavin Beschen, tall, slim, and tanned, with shaggy blond hair, and stubble. Gavin had a gnarly ride out there. He dropped in, rode the barrel, but then fell and got pummeled by the surf. It snapped his board clean in two. It is wild seeing what the power of the waves can do to the board. Thankfully he knew what he was doing and it left his body unscathed. After catching the end of his board he jogged back up the beach carrying the two pieces. Jeff went up to him and fist bumped. “Hey man, it was cool to watch you. You were impressive.” Gavin replied with a smile “Yeah, some waves are good and some are bad. It is just good being out there.” So true -it is good being out there. Team Volcom Pro Surfer Gavin Beschen comes in from riding Banzai Pipeline, happy but with a broken board. This entry was posted in Musings and tagged Banzai Pipeline, Chasing Mavericks, Ehukai Beach Park, Endless Summer, Gavin Beschen, Giovanni's Shrimp, Hawaiian Oceans, Kahuku, O'ahu, Point Break, Riding Giants, Soul Surfer, Surfing, Uncle Woody's BBQ Corn, Volcom, Waikiki Beach, Waimea Bay on April 10, 2013 by lydiakluge.